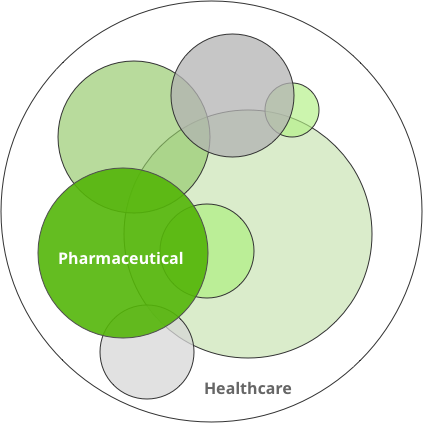 At RxDataScience, we are creating a large suite of apps across the entire pharmaceutical and healthcare value chain. These apps contain advanced analytics and data science inside, and sit on top of large datasets enabling business analysts and non-programmers to extract business value from healthcare data. We link traditional and nontraditional data sources (such as RWE) with data science and machine learning to map patient journeys and identify previously unknown disease and treatment patterns, over a long period of time, resulting in dramatic improvements in the cost and quality of care. Purpose-specific SaaS app solutions solving specific business problems. An innovative analytics as a service platform (cloud or on premises). Enhancing solutions with a Data Science consulting practice. Our core team has a collective 160+ years of experience within the pharmaceutical industry. Therefore starting within the pharmaceutical industry seemed natural. While we are currently concentrating on solutions to serve the pharmaceutical industry, we will soon be tackling different sets of data within the healthcare industry as a whole. These markets include the providers (i.e. hospital systems), payers (i.e. insurance companies, government), medical devices, biotechnology, and more.